One of these features in Magento 2 Product Slider extension is Bestseller Products Slider that supports customers to the collection of the Bestseller products on your store at the present. Through it, you can introduce the hottest items on your store, moreover, customers can save time on shopping and be closer to your products. To learn more about Bestseller Products Slider, you can follow this tutorial. This is very easy to use and easy to customize extension. 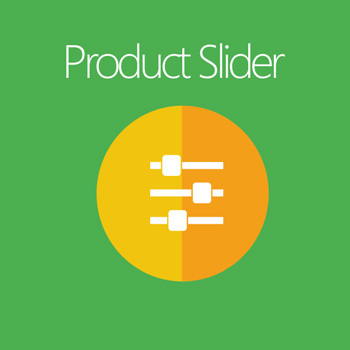 The best product slider with additional functions like new products, featured products. Work with any theme without any error. Simple to install and configure, This product is so easy to customize and work with other themes without any problem. It works as a widget and be displayed on any page. It's a very good module and easy to use with the simplest steps. This module is very useful for me. This module improved my site functionality. Its very good module and easy to use with the simplest steps. This module is very useful for me. This module is improved my site functionality. The Product slider extension is easy to install and very useful. I can create any bunch of products which want to slide on location. Very nice. Keep it up!! This extension is easy to install and work. Also, it includes a great white paper with instructions for installing and configuration (hardly any configuration needed). I bought several modules from Mageplaza and they provide an excellent service! It worked perfectly but before installing the plugin, you have to install Mageplaza from Github core plugin to work this plugin. Thank you very much Mageplaza team for providing such great plugin free of cost. A really excellent extension which is easy to install and customize. Warmly recommended! I tried this plugin about 2 days back and it is working perfectly with Magento 2. Again an excellent extension from Mageplaza and it is free of charge. Don't worry to use the extension, the team will support from the beginning if you have any issue or in you need support even it is free. The support team is really supportive and friendly. Can recommend to anyone who needs product on Magento stores.